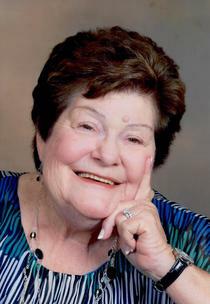 Mary Louise Reece Webster, 74 years, of Rising Sun, MD, passed away Wednesday, January 16, 2019 in the Jennersville Hospital of West Grove, PA. Born May 21, 1943 in Trade, TN, she was the daughter of the late Paul C. and Flora Lee Thomas Reece. Mrs. Webster is survived by her sons, Donald J. Webster Jr., and wife, Helene Cilione Webster, and Paul R. Webster and wife, Kim McGlue Webster; grandchildren, Paul R. Webster, Jr. (PJ), Cameron D. Webster and Donny Webster, III; brothers, Harold T. Reece of Centerville, MD, and Mack A. Reece, Sr. of Nottingham, PA; and Aunt Janice Amorin. Mrs. Webster was formerly employed as an office manager/accountant by Alger Oil of Oxford, PA. In addition to her parents, Mrs. Webster was preceded in death by her husband, Donald J. Webster, Sr., and brother, Kenneth D. Reece. Funeral services are scheduled for Monday, January 21, 2019, 1 PM, at the Pleasant View Baptist Church of Port Deposit, MD. Visitation for family and friends will be held Monday, January 21, 2019, 11 AM until 1 PM, at the church prior to the funeral service. Pastor Dr. Harold Phillips of the Pleasant View Baptist Church will officiate. Interment will be in West Nottingham Cemetery, Colora, MD.